Apparel is the second most popular item on shoppers’ holiday gift lists this year, according to the National Retail Federation. In fact, 35 percent of holiday shoppers plan to visit a clothing or accessory store while doing their holiday shopping. If you own an apparel store, what do you need to know to get those shoppers into your store — and get them coming back after the holidays? The “2017 Apparel Industry Retail Study” from Qualtrics reveals four things every apparel retailer needs to know. In the past, apparel was one category where shoppers still preferred to visit a physical store to make a purchase. How else can they touch and feel the fabric or try them on? However, the prevalence of free shipping and return policies online has eliminated the advantage that physical stores once had. Online and physical stores are delivering “extremely good” shopping experiences at roughly the same rate, according to the report. Shoppers in the survey say they had a good experience at a brick-and-mortar store 42 percent of the time and at an online store 44 percent of the time. Recommendations from friends and family are the leading way shoppers find out about apparel stores, according to the survey. However, the power of word-of-mouth goes both ways. One-fourth of retail apparel shoppers who are disappointed with their experience in an clothing store will not only stop shopping there, but also tell their friends and family about it and recommend they stop shopping there, too. Complaints are valuable tools to help you make your apparel store better. But frequently, customers don’t share this negative feedback. 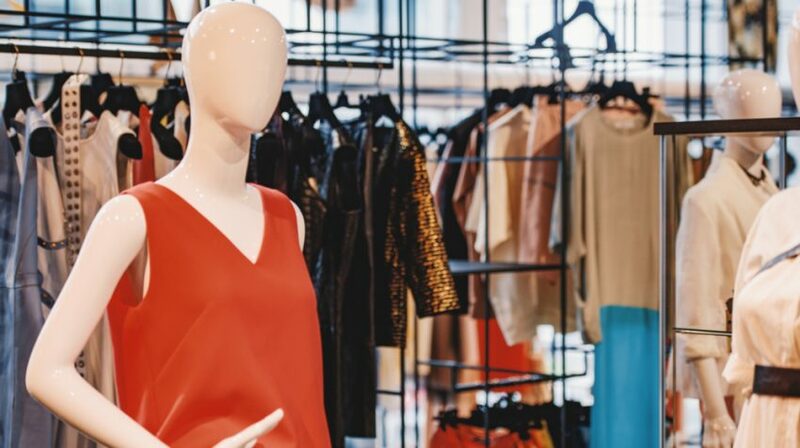 Only about 40 percent of customers who experience a “minor expectation failure” with your apparel store—and 30 percent of customers who experience a major one—will bother to complain. This could be because they have little confidence complaining will make a difference. Only about half of shoppers in the survey think their feedback — whether it’s in the form of a survey response, a social media post or a conversation with the store staff — goes to anyone who can or will act on it. Almost one-fourth(24 percent) of shoppers don’t expect to get any response at all from an apparel store after making a complaint. Paying attention to shopper feedback has plenty of payoffs. It helps you improve your apparel store, increases customer retention, and can even win unhappy customers back into the fold — all of which boosts your word-of-mouth. A whopping 80 percent of shoppers say their perception of an apparel retailer is improved if that retailer quickly solves a problem. Imagine if all those customers told their friends and family about that experience! What can you take away from these findings? Be active on social media. One-third of shoppers in the survey say they follow at least one apparel retailer on social media. Engage your followers with questions, quick surveys and polls. Be responsive on social media. Don’t just let your customers follow you on social media — pay attention to what they’re saying as well. In particular, respond quickly to feedback — whether positive or negative — about their experiences with your business. With most apparel retailers less than responsive to customers’ comments, your store will stand out by engaging and showing you care. Be helpful on social media. What do shoppers want most from apparel stores on social media? The majority of shoppers who follow your store are doing so because they want to get discounts and find out about sales and new merchandise arrivals.